Difficulty in reaching the device. In many cases the network of the SCADA-HMI is not the same of the RTU/PLC to be controlled; thus it’s necessary to establish a secure and independent connection, that doesn’t require any additional operation by the user. The devices to be controlled, require the use of a serial/USB port. In case of RTU/PLC without relevant network interface, it’s necessary to communicate with them through their serial ports or USB. Considering the fact, that the control-software is far from the monitored devices, it’s necessary to find a secure and easy-to-use system, suitable to simulate a wired connection. WE200 allows to solve above mentioned problems in few steps and without any particular technical skills of the user. The QuickTunnel software grants that the data sent by WE200 is forwarded to the virtual serial ports and then to the SCADA-HMI system. The most secure and simple way to let the SCADA-HMI system reach the network of the device to be monitored, is to use a VPN connection. The VPN allows in fact to bypass any restrictions by the network provider (firewalls), and to create an independent and secure network. 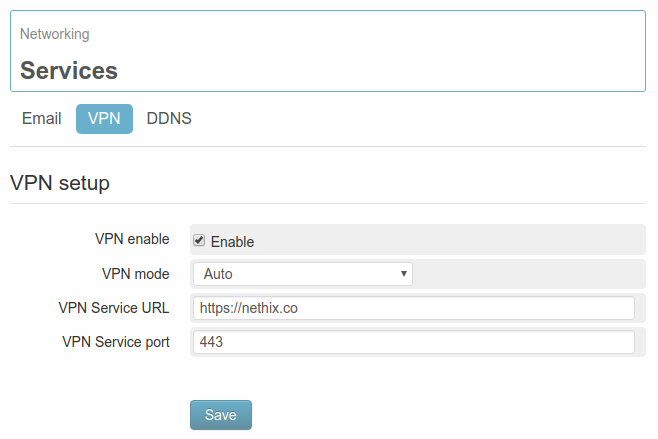 Nethix offers its own VPN service, based on Nethix Portal. This allows the user to manage its own VPN network in a very easy and simple way, without requiring any particular skills. For further information about the account activation on Nethix Portal, please contact Nethix technical support. Beside the account activation on Nethix Portal, it’s required that both communicating parties (i.e. the WE200 on one side and the PC, where the SCADA-HMI software runs on the other side) have a mutual compatible VPN client. WE200 has a VPN client, which is compatible with that of Nethix Portal and with any other VPN Server that uses the OpenVPN standard. The activation of the VPN service on the WE200 is therefore immediate, as described on the following sections. In order to prepare the PC with above mentioned VPN client, it’s enough to download the QuickTunnel software. For applying a different type of VPN, please contact Nethix technical support. QuickTunnel is a free software, developed by Nethix (click here to download and here for the manual). It allows to manage the list of WE200 devices associated to the account, the VPN connection towards one or more domains and the configuration of the virtual serial ports to be configured on the PC, that runs the SCADA-HMI software, in order to communicate with the monitored devices. Once installed the software, as described on the relevant manual, it’s possible to configure the whole system in just a few clicks. First of all, switch on the device and wait until it’s initialized (it takes about 3 minutes). Entering the Local IP address of the WE200 it is then possible to reach the integrated Web interface. If the IP address has not been changed previously, WE200 answers at the 192.168.1.160. In case it’s not possible to establish the connection, please check the PC settings or check the dedicated section of the manual (How to restore the IP of WE200). Once reached the Web interface of the WE200, it’s required to enter the Login-data in the device. Entering the page Networking → Services → VPN of the Web Interface it’s possible to enable the service. Having checked the field Enable, select the option Auto on the field VPN mode and click Save. The fields VPN Service URL and VPN Service port will be filled in automatically. For further information on the connectivity of the WE200 see the relevant manual (WE200 Manual). 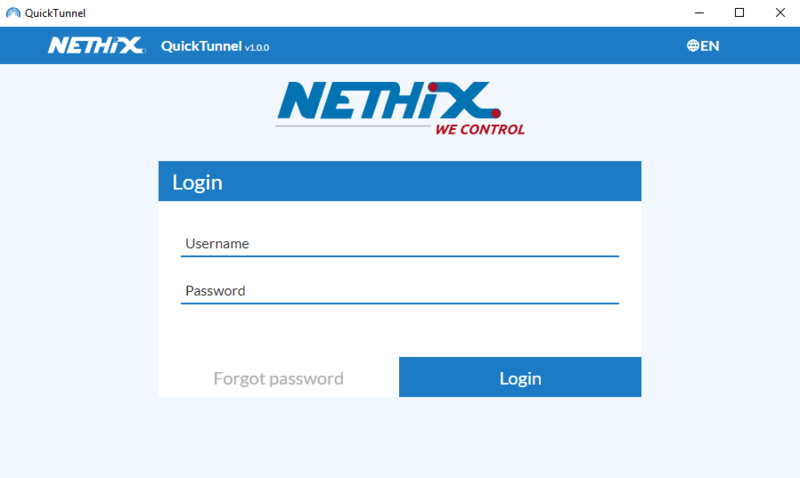 Once available a valid account on Nethix Portal and enabled the VPN connection on the WE200, it’s enough to download the free-of-charge software QuickTunnel and launch it, in order to connect the PC to the VPN network. At the login, please enter the same credentials used for entering the Nethix Portal. After the login, all the available WE200 associated to the account will be displayed. 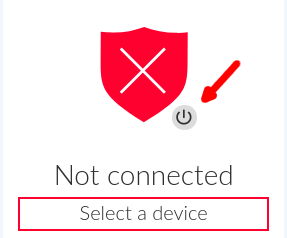 Selecting one of them, it’s possible to establish a VPN connection with the device and with all those available inside the same domain. On the left side of the interface, QuickTunnel will show the confirmation of the connection. or just quit from QuickTunnel. Before proceeding by connecting physically the devices/machines to be monitored to a serial port/USB of WE200, it’s necessary to set some basic parameters. 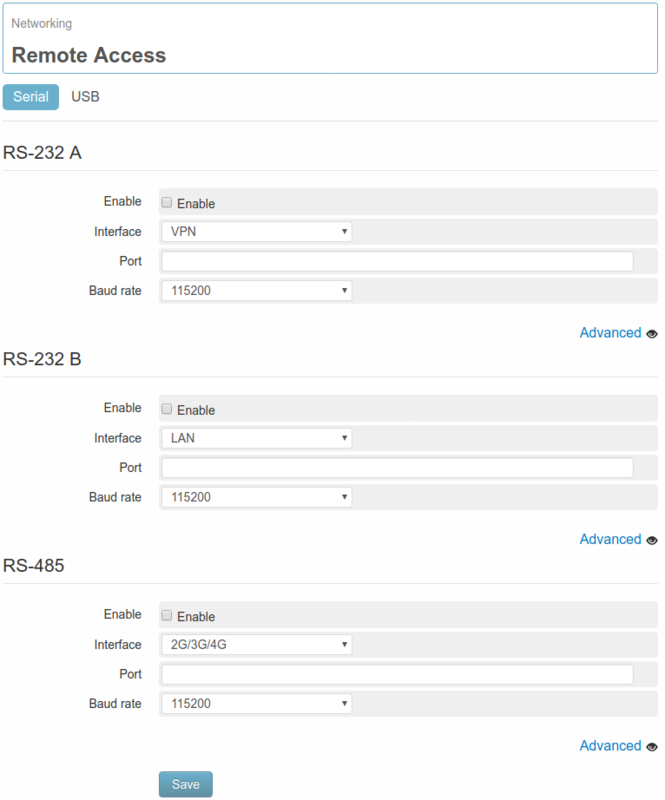 Once entered the Web Interface of WE200, go to page Networking → Remote Access and choose, according to own requirements, between Serial (to configure the ports RS232 and RS485) and USB. 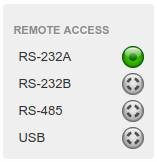 Remind that it’s also possible to enable the Remote Access service on all serials/USB simultaneously. After the configuration click Save. 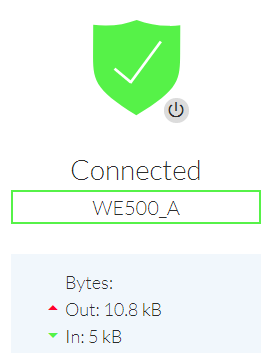 It’s confirmed that all operations have been successfully saved, only when on the panel status, available on the right side of the Web Interface of the WE200, the icon referred to the enabled port will become green. From this point the WE200 will perform exactly as an industrial gateway, being like a “bridge” between the controlling station and the machine to be controlled. The creation of virtual ports on the PC is very simple and fast using the software QuickTunnel. Once installed and entered using the credentials of Nethix Portal (see manual Quick tunnel), search for the previously configured WE200 among the list of available devices, and select it in order to establish a VPN connection as described on paragraph 3.2. To add a virtual serial port, click on the icon indicated below. Once selected the desired port, click on Create to proceed. A virtual serial port will be created on the PC in use. This serial port will be then available on the list, as shown here below. From this point, all the traffic, generated on the virtual port available in the PC, will be sent in a transparent channel (regardless of the used communication protocol) to the device connected to the selected physical serial port, and vice versa. Terminating the software QuickTunnel the VPN connection is disabled and the created virtual ports canceled. At the restart of the software the VPN connection and the virtual serial ports will be restored automatically.